There’s a hell of a deal on Steam for Endless Space right now. It’s 96% off, which means you can pick up the sci-fi 4X game for $1. Here’s everything we know about Endless Space 2. Not only that, but you can also grab the DLC, Endless Space – Disharmony, for $1, too. That’s for people who own the base game already, as Disharmony actually bundles in the main game too. 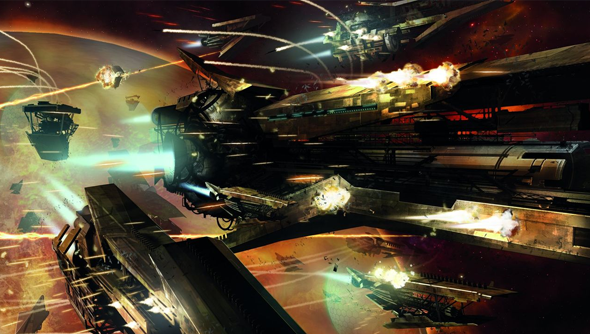 Endless Space is a 4X game with the complexity of Civilization, set among the stars. Disharmony is essentially a big old update for the base game, adding a new faction, The Harmony, plus additional fighters, bombers, battle formations, enhanced invasion mechanics, and an all-new targeting system. On top of all that, the DLC adds a host of improvements to AI opponents with the ‘Adaptive Multi-Agent System’.